THE MARS LAB is a both a Mars Yard (a re-creation of the Martian surface) and a robotics lab established within Sydney’s Powerhouse Museum. 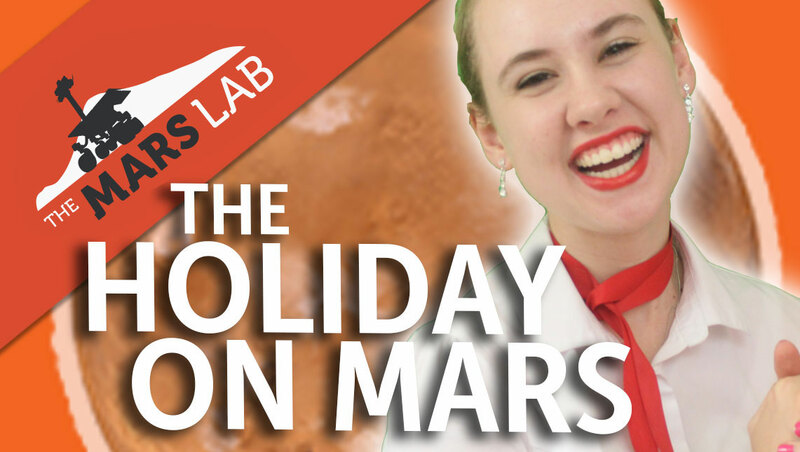 Mars Lab education programs engage young people at high school in the search for life on Mars and the technologies which enable that search. 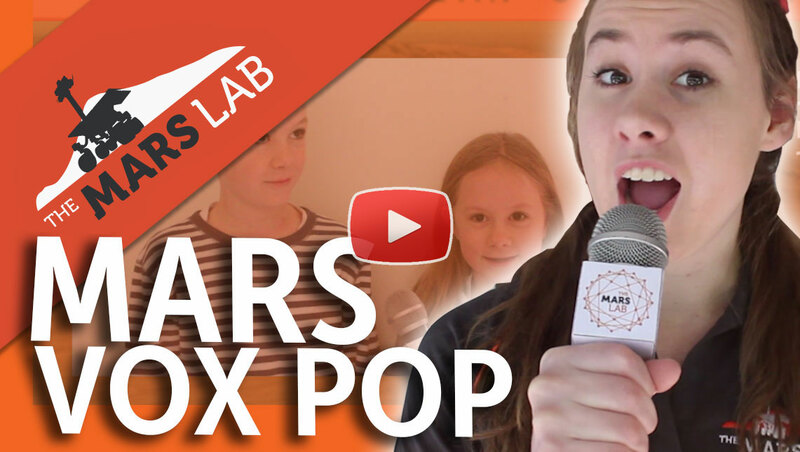 WATCH THIS INSPIRING VIDEO to find out what goes on at the Mars Lab. Join our community of educators to participate fully and stay up to date with this exciting program. 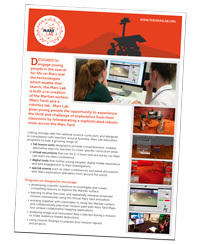 60 Minutes On Mars is a five lesson teacher-led unit of curriculum-linked science activities that provide an introduction to the search for evidence of life on Mars culminating with a teleoperation rover driving experience. Students investigate the main geological and astrobiological features of interest on the Martian surface and use this knowledge to carefully plan their rover mission. Teachers can follow the lessons step by step or choose to extend and vary the focus for their students as they develop a scientific goal for their Mars photographic mission. 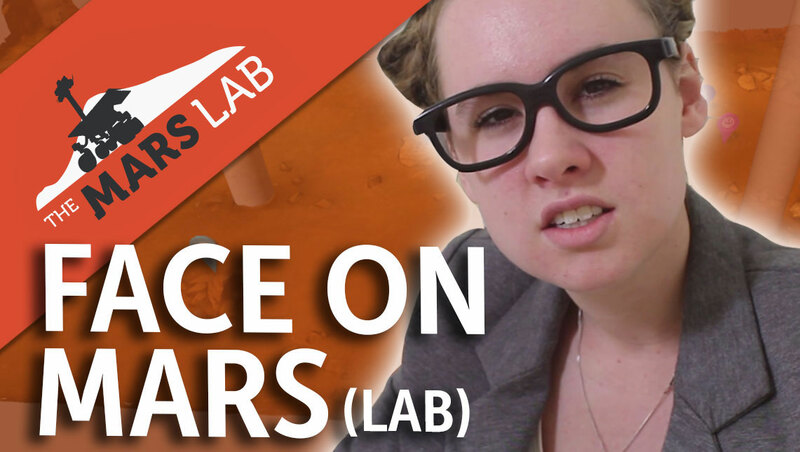 What happens in Mars Lab education programs? 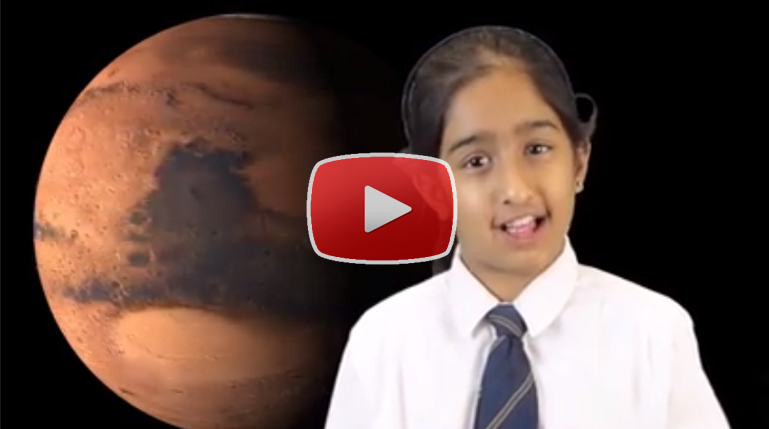 A short video made by PLC Melbourne Junior School of their student experience with the Mars Lab education program: Mars Mission 5. Mars Mission 5 is a 2 part virtual excursion led by our Mars Lab team over video conferencing. MM5 introduces students to the robotic exploration of Mars and focusses on collaboration, planning, observation and scientific investigation. 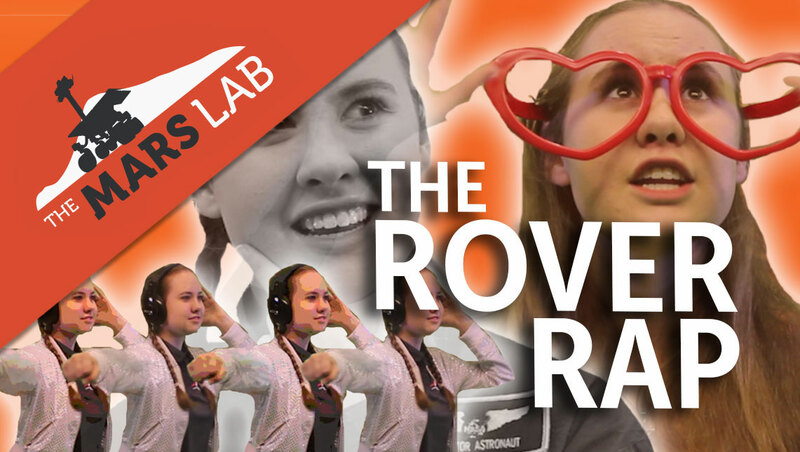 This education program involves students in a variety of experiences over VC and in their classrooms including discussions, mission planning, virtual rover driving and teleoperating our robot rover in the Mars Yard. If you came to the Museum’s fantastic MAASIVE LATE on Thursday night and had your photo taken by our Experimental Mars Rover: CONTINUUM you can view and download your photos from here. The Mars Lab is both an active educational resource and a space robotics, astrobiology and education research facility. Robotic rovers are currently used to great effect for the in-situ exploration of the Martian surface. To meet more challenging planetary exploration goals, rovers will need increased mobility over scientifically interesting rough terrain and the ability to achieve a wider variety of mission goals. 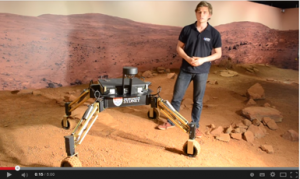 The MAMMOTH (Mars Analogue Multi-Mode Traverse Hybrid) Rover is a reconfigurable platform developed by engineers at the Australian Centre for Field Robotics that is being used for research into greater rover mobility over harsh terrain. MAMMOTH has four legs, with a wheel at the end of each, allowing it to perform energy efficient driving over flat terrain, while utilizing complex clambering and body weight shifting manoeuvres when traversing more challenging surfaces. To achieve efficient operation of MAMMOTH’s actively articulated mobility system a kinematic model is being implemented that relates the motion of each of its joints to its overall body motion. This model is used for ensuring stability of the rover during all operations along with planning for future motion. Sampling based motion planning algorithms are being implemented to sample the rover’s high degree of freedom configuration space and formulate feasible motion plans considering stability, energy usage and mission goal performance constraints. 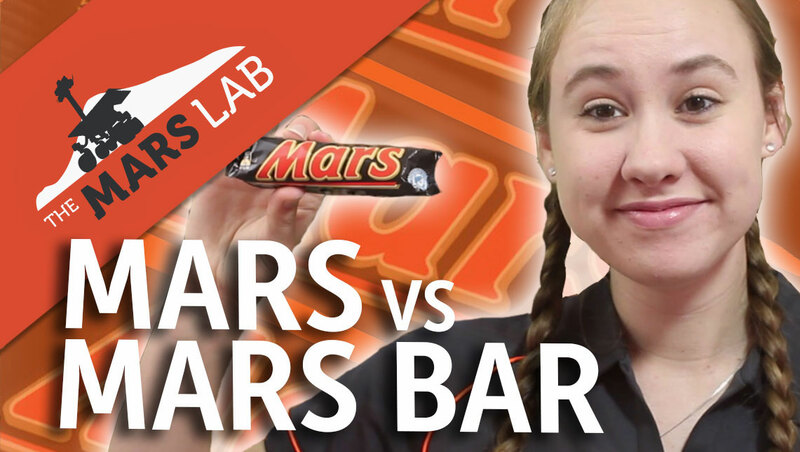 The Mars Lab is a research collaboration between the University of NSW (The Australian Centre for Astrobiology), the University of Sydney (The Australian Centre for Field Robotics) and the Museum of Applied Arts and Sciences (Powerhouse Museum). Working alongside these research collaborators are leading teachers and hundreds of enquiring young minds from connected schools across the country. 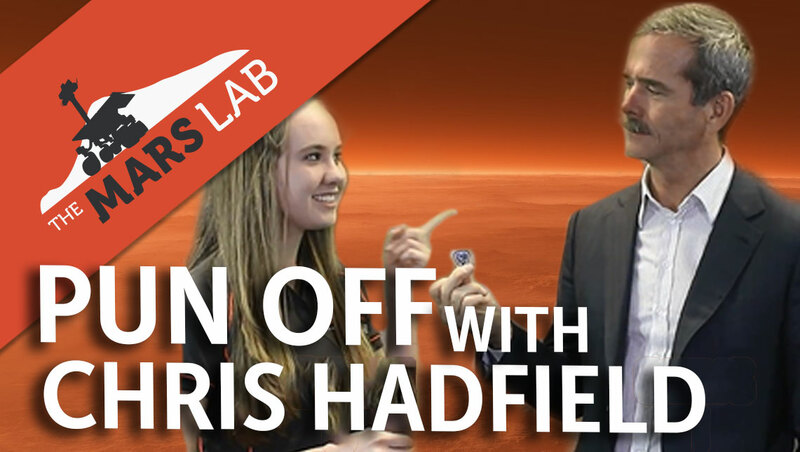 Development of the Mars Lab was funded by The Australian Government as part of the Broadband Enabled Education and Skills Services Program.